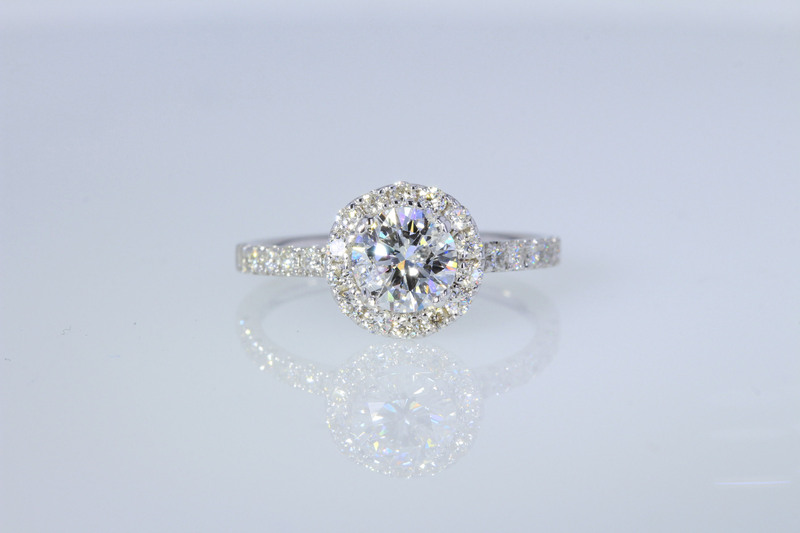 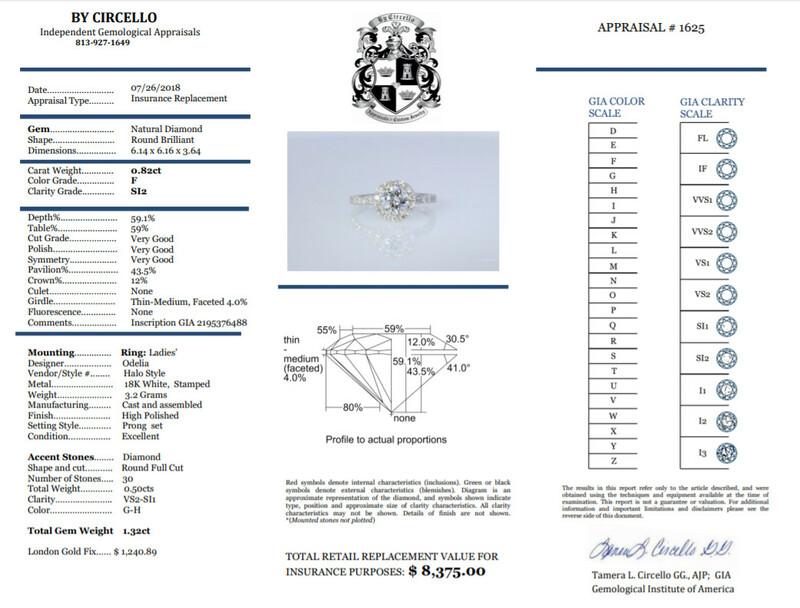 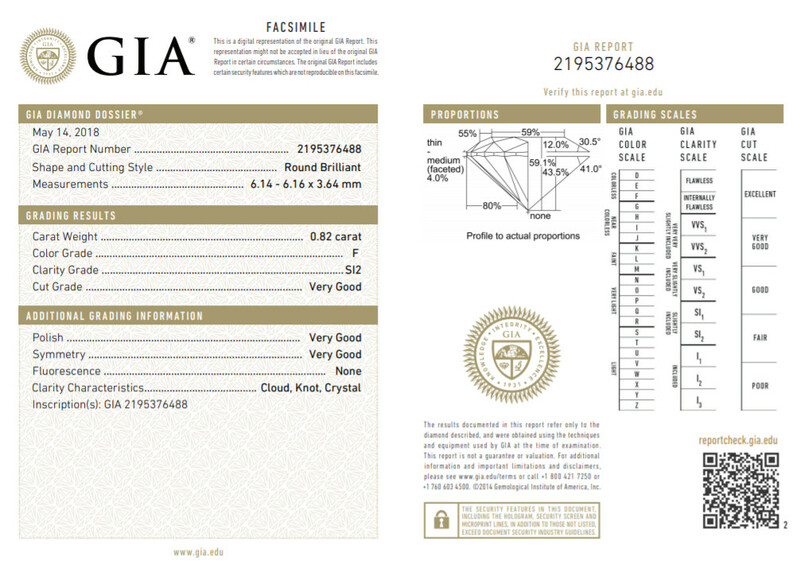 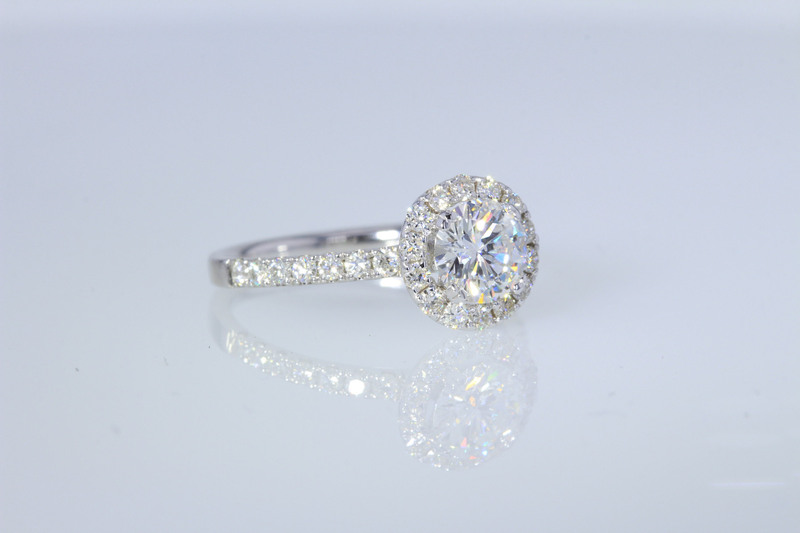 0.82CT Round Brilliant center diamond GIA certified with colorless F color and eye clean SI2 The diamond is just amazing with the Very Good cut grade(Looks Excellent). 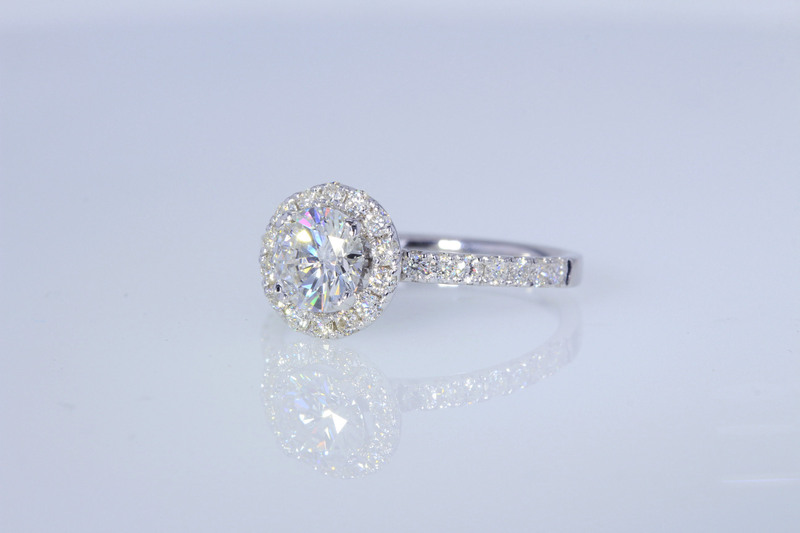 The diamond was just set in this brand new 18kt white gold Odelia designer with 0.50CT of more full cut round brilliant diamonds for a total carat weight of 1.32CT. 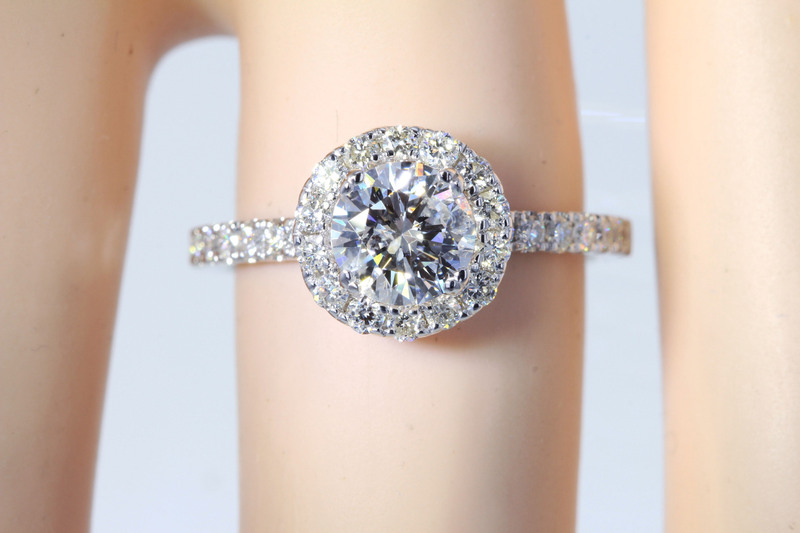 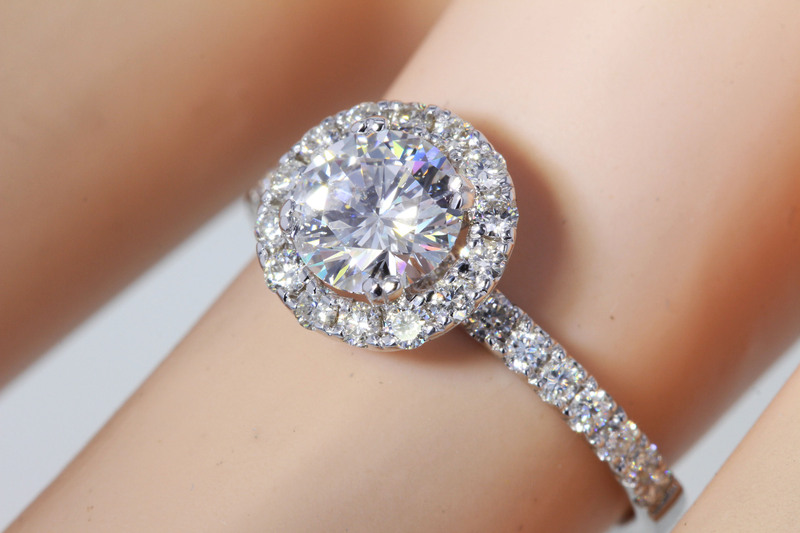 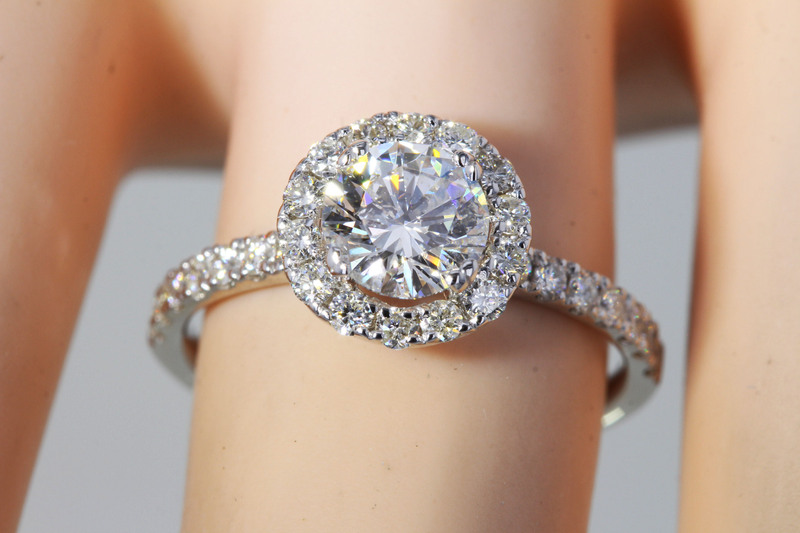 This will make her looks and feel like a million bucks for less than $4K!